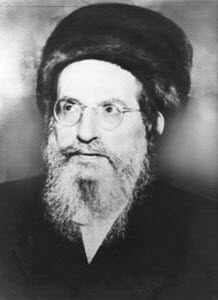 Rabbi Shimon opened the study and said that people with soft, thin and long hair have in the aspect of mercy in them. They are from the side of Arich Anpin represented by the letter א. The hair that falls to the sides of the head is the aspect of two letters of Vav ו ו and together they form ואו where א is at the top of the skul, one Vav on the right and one on the left of the head. Arich Anpin is the Keter with 13 attributes that represent love, mercy, healing and unity. Hair that is short, wrinkled and hard that is spread without a natural and normal direction is from Malchut of Zeir Anpin. It is the aspect of the י of the lower name, אדני. It represents judgment and hardship of the Tikkun process. I was asked before about the hair of African people that have such type of hair. (See comments on http://dailyzohar.com/?p=7012) The race is definitely from left side, Gevurah. The history of Africa and African people is full of wars, hardship, slavery and abuse. In many ways, the ‘exile’ from Africa to the many countries around the world was part of their Tikkun process. Relocation became the solution and transformation from Gevurah to Chessed. The history proves that. When ‘black’ is mixed with ‘white’, most of the darkness disappears. After several generations in the ‘white’ zone, the hair turns softer. The African American for example, don’t look like their ancestors any more. South African blacks are in much better situation than the ones inside the continent that continue with tribal fights and all kinds of diseases and chaos. As Psalms 1 teaches us, we should choose the right environment to elevate ourselves. The hair of Chessed is the aspect of Shofar blast of Tekiah that is long and uninterrupted. The hair of Gevurah is the aspect of Shevarim that is a sequence of short, broken blasts. The hair of the central column is the aspect of ‘Teruah’ that is long continuous short blasts that includes the previous two types of blasts.